People Who Don't Know They're Dead: How They Attach Themselves to Unsuspecting Bystanders and What to Do about It (Gary Leon Hall, Weiser Books) -- Honestly, it sounds like Hall also had the pleasure of dating one of my more memorable ex-girlfriends. Hopefully she didn't microwave his cat, too. How Green Were the Nazis? (Bruggemeier et al., Ohio University Press) -- You'd think that invading dozens of countries and slaughtering millions of innocent civilians would have been an incredibly messy pastime, but apparently I might be wrong. 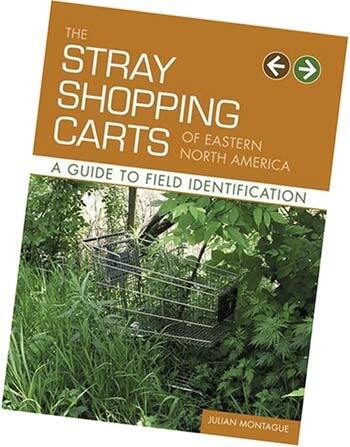 The Stray Shopping Carts of Eastern North America: A Guide to Field Identification (Julian Montague, Abrams Image) -- A traumatic incident while bird watching seems to have pushed poor Mr. Montague over the edge. How else can one explain his attempt at an elaborate classification system for ferile, uhh, grocery carts? Remember not to get between them and the chocolate pudding isle during mating season. Proceedings of the Eighteenth International Seaweed Symposium (Robert Anderson et al., Springer) -- Gosh. This lot puts Harry Potter and his piddly little collection of seven books to shame. Unfortunately, I found the 17th volume a tad too predictable and can't help but feel the plot would have been dramatically improved by the inclusion of some radioactive phytoplankton, or maybe even some devious mammals. Better Never To Have Been: The Harm of Coming Into Existence (David Benatar, Oxford University Press) -- This one truly makes my head hurt. I can hardly wait for Benatar's follow-up, tentatively titled, "Why You Lot Should All Drop Dead and Leave Me in Bloody Peace."